Stoner Joe’s Dry Herb Vaporizer is a sleek and functional take on a dry herb vaporizer. It fits comfortably in your hand while also making adequate room for the air vents on the top two sides of the vape. One of the first things you will notice about the device is the unique graphic of the trademark Stoner Joe cartoon character at the top side of the vape. Overall, it fits nicely in the hand and feels and looks like a solid dry herb vaporizer. From a technical standpoint, the Stoner Joe’s Vaporizer comes with a non-replaceable 2200mah battery. The battery should last the average user about a full day on a single charge. You have the option of adjusting the temperature from 300 to 435 degrees. The vape also has an LED screen that will display the temperature it is operating at. Stoner Joe’s Vaporizer uses a ceramic heating chamber that is located right below the removable mouthpiece. Ceramic chambers are the most ideal for dry herb vaping because it offers a consistent, all round vapor experience. There are five air holes located at the bottom of the heating chamber that link to the air vents on the sides for consistent airflow. I was impressed at just how fast the vaporizer was able to heat up, in just a matter of seconds. Loading the herbs into the device was a straightforward process. The vapor production was also impressive, as I was able to draw out a good-sized cloud. The vapor was very aromatic and full of flavor that tasted just like the herb smelled. I could tell it had no problem vaporizing the terpenes off the herb. There were no extra plastic tastes at all coming from the vaporizer either, even with the very first puff. The mouthpiece covers kept the vapor smooth, so it did not burn in my throat or lungs. Overall, the Stoner Joe’s Vaporizer offered a very pleasant vaping experience. Afterwards, I used the clearing tool and emptied the chamber to see if it had vaporized everything properly. The herbs were an even, toasted brown color throughout, with no green left. The results you would expect from properly baked herbs. Stoner Joe’s Dry Herb Vaporizer comes with all the essentials you need to get started vaping. It comes in a blue box with the same dope character that is featured on the vape itself. The kit includes a set of extra screens and mouthpiece covers, a cleaning brush, a USB charger, a wall adapter, and a clearing tool. One of the coolest additions is a retractable micro USB cord that can extend to about two and half feet. Using the Stoner Joe’s Vaporizer is quite simple. When you power on the device, it quickly heats up to the temperature you have set it at. The loading chamber holds an average amount of ground herb, around a quarter gram, and probably a little more if you wanted. You have the option of adding a mouthpiece sleeve as well so your lips do not come in contact with too much heat. Turning it On/Off: The on and off feature works like most vaporizers. To turn it on, you click the power button five times and the LED screen will light up, indicating it is on. The vaporizer will immediately start heating up. The green light on the button will flash until it has reached the set temperature, at which point it will stop blinking and switch over to keeping the chamber a steady temperature. To power the vaporizer off, you perform the same action by clicking five times. Loading the Ceramic Chamber: To get the best results, you should begin with finely ground herbs. I would highly recommend using a grinder. Start by removing the mouthpiece, then gently pack the ground herbs into the chamber. Once you reattach the mouthpiece, you are ready to start vaping. 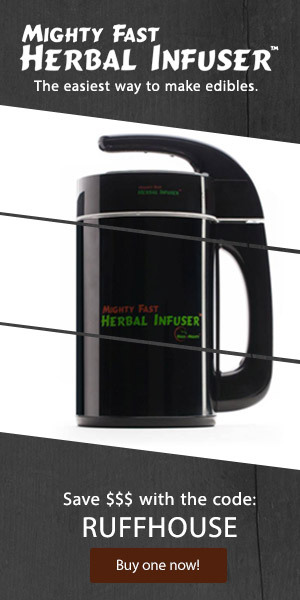 Vaping the Herbs: To start the vaping process, turn the vaporizer on. It will start heating as soon as it powers up. Meanwhile, you have the option to adjust the temperature from 300 up to 435 degrees. To do this, click either of the two small buttons located below the power button. Once the vape has heated up, you can begin taking puffs. Clearing the Chamber: Once you are done vaping the herbs, you can power the vape down and remove the mouthpiece to empty the chamber. Use the provided clearing tool to loosen and dump out the herbs. If you ever experience any airflow issues later on, you can change out the screen at the bottom of the chamber. The Stoner Joe’s kit comes with five extra screens, but you should not have to change them out too often, plus they can be cleaned. You get a 135-degree variance with Stoner Joe’s Vaporizer. The range on this vaporizer is what I would consider a safe range for vaping dry herbs. On less controlled devices, you may run the risk of either too low of temperatures or too high. The main goal is to get the chamber hot enough so that you can vaporize the terpenes and the other medically beneficial parts of the herb properly. Terpenes provide the flavor associated with the herbs, so if there is little to no flavor, you want to use a higher temperature. With the Stoner Joe’s vape, each temperature setting should be adequate for properly vaping herbs. The temperature you choose depends on the type of hit you prefer. Lower temperatures between 300 and 359 degrees offer a light hit. For a moderate hit, use a temperature range between 360 and 409 degrees. Anything 410 degrees and up offers the strongest of hits. Because the vaporizer’s temperature range is within the standard variance, there should be no risk of accidentally combustion of your herbs. In conclusion, I would say Stoner Joe did a pretty darn good job with their take on a dry herb vaporizer. It offered some good-sized clouds that were full and flavorful. The airflow was on point, and the effects from the herbs were strong. I also liked the size and feel of the vaporizer in my hand. I could definitely see it being a viable option for taking it on the go. The price a bargain at Under $100. This vape offers a reliable and consistent vaping experience for those seeking one. Coupled with its easy to use features and sleek, comfortable design, I would say it is a solid contender on the marketplace.